The live stream of this event appears below. Please note: there was an error in the times given for the 19:00 BST sessions. These begin at 2pm Eastern 11am Pacific and not the times previously notified. Please scroll down to see the embedded video windows. We will be live streaming the teaching sessions and public activations only. We do not have the capability to live stream any worship or informal round tables. The live stream will be from a single camera in front of the speaker and will normally include the slides which accompany the presentation. After each session the video link will remain live on the main live stream page indefinitely. If you purchase the live stream you will continue to be able to access the video recordings there after the event. Audio recordings and PDF slides will also be added later. Mike will answer a selection of questions from those attending (whether in person or via live stream) during two Q & A sessions in the conference. Please submit any questions you have for the Q & A sessions via email by clicking here. All times are approximate and liable to amendment during the event. We will try to post any urgent notifications immediately above the relevant video window (Note: you will need to refresh the page to see this information). reload this page and try again. open this page in a different web browser (eg. Firefox, Chrome, Internet Explorer). 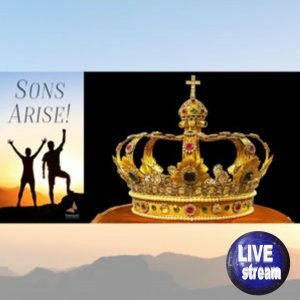 click here to try the main live stream page on our Freedom ARC site. If none of these resolves your problem during the event, please email admin@freedomarc.org and we will do our best to help. This is the ONLY email address we will be monitoring while we are ‘live’. Please be aware that if there is a problem affecting everyone then others may also be trying to contact us at the same time. If you miss the beginning of a session, you can rewind the live videos by dragging the progress bar at the lower edge of each video window back towards the left. We apologise for the lack of sound at the start of the video. We corrected this after approximately 5 minutes. This session may begin up to 15 minutes EARLIER than advertised. If you miss the beginning, you can rewind the live video by dragging the progress bar at the lower edge of the video window back towards the left. Please note: an extra session has been added at 20:15 BST (see below).